November 14, 2016 November 14, 2016 ~ NickyB. Firstly, I’d like to say that this post has nothing to do with autism. It does however discuss how unfair being a mom is at times. My daughter is now in 4th grade. This school year she has been challenged in Math. The subject that was relatively easy for her, has now become stressful! Since about the 3rd week of school she has been really working hard on her math homework. Every Monday through Thursday we are at the kitchen table for at least 30 min working on math (for the most part). This past week I was busy doing something with MJ so my husband stepped in to help our daughter with her homework. I was grateful and relieved. The next morning we awoke to this beautiful letter written to my husband. My daughter had written him the greatest letter thanking him for helping her with homework! Is she kidding me?! 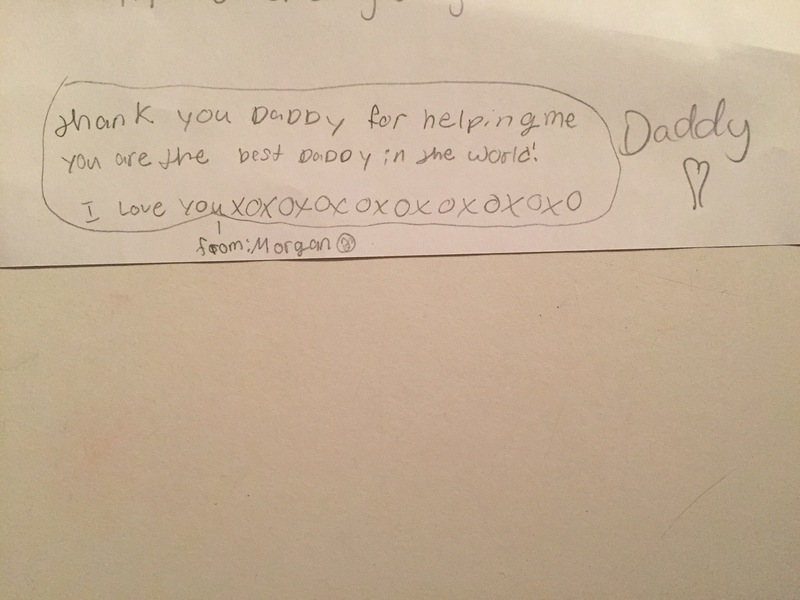 Where the heck is my thank you letter for the 40+ nights I was helping her with homework! 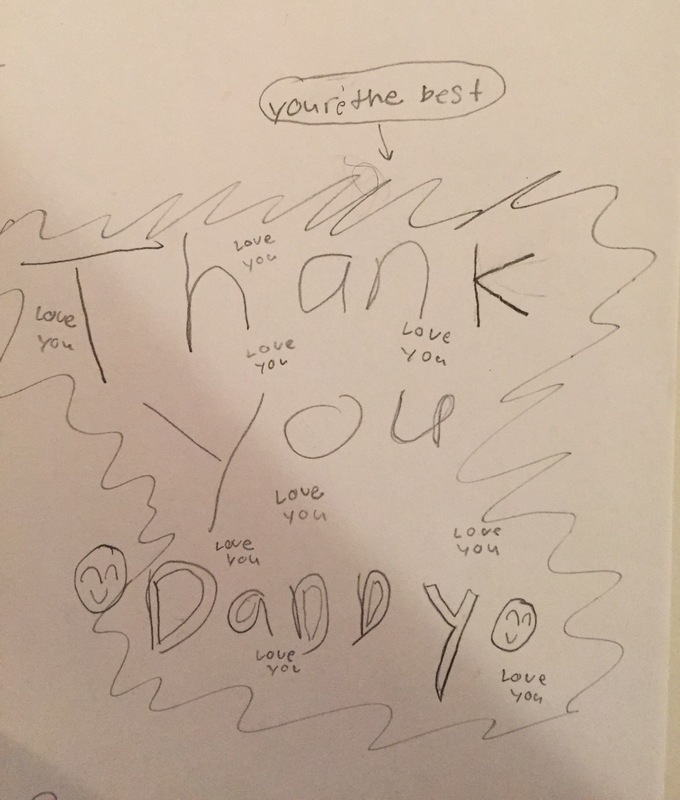 He helps her 1 night and gets a, “Thank you dad…you’re the greatest dad” letter?! It’s just NOT fair. Husband was all smiles and laughed hysterically when he saw my facial expression. All he could say was, “Sorry babe. I know how hard you work.” Needless to say I had to listen to calming, soothing music on the way to work to calm myself down…It’s just not fair…Thanks to all for allowing me to vent! I’m DYING!!!!!!!! 😂😂😂😂😂😂😂 leave it up to kids. I think I was the same way with my parents! 😂😂😂 Lord…you’ll make it through. And YOU KNOW I’m telling the Truth! Thanking God you didn’t bop me on the head for that! I read this to my husband and we both laughed… while feeling your pain! Kids are the best, even when they get it wrong! Hugs! Lol. It is quite hilarious. My husband is STILL laughing! Omg lol. That is too funny! Maybe he is right! Why reblog a mom’s vent? Because it is so absolutely relatable! It is like you go above and beyond and even in between with your children yet they seem to take you for granted aka well is that not what moms are supposed to do anyways??!!! Definitely relatable!!! I still don’t believe it! The nerve of her lol! This post is truth Nicky; hugs! Way to stay calm about it! I would have come undone if I saw that. You are an awesome mom… keep it up (I guess for both kids)! Believe me it took a lot of deep breaths!And I didn’t want to ruin it for my husband. He was so happy about the darn letter! Oh no, I’m sorry girl. You’re an awesome mom no matter what. Wow! That is hilarious!!! I guess we both need to hang in here!